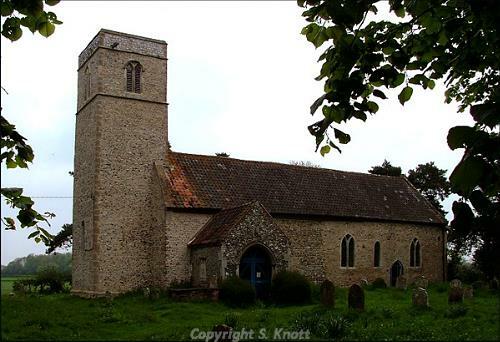 Themelthorpe is a small parish situated in the Broadland Local Government District, and has an area of 268 hectares. It is 2.5km east of its nearest neighbour, Foulsham, and is just noth of the Foxley Wood Nature Reserve. The name ‘Themelthorpe’ is thought to derive from the Old English or Old Norse words for Thymel’s or Thymli’s hamlet. The earliest recorded object or feature are three prehistoric burnt mounds (NHER 33331) noted in a field on the border of Themelthorpe and Reepham in 1997. Unfortunately only a very small number of sites or objects have been recorded in this parish, and as a result no Bronze Age or Iron Age evidence has been recorded. Roman period finds are limited to a few pottery sherds (NHER 3148) and a very small finger ring (NHER 35031). There have been Saxon discoveries, and the settlement is not listed in the Domesday Book of 1086. Despite this apparent lack of settlement during the Saxon period, a church was built in the parish during the following Norman period (NHER 3158). Dedicated to St Andrew, the current building has a chancel, towers and windows dating largely to the late 13th century. Inside there is a trefoil-headed piscina and stepped sedilia, as well as an interesting brass to William Pescod dated to 1505. Themelthorpe also has a medieval moated site (NHER 3148) situated just north of the Kerdiston Road. Little is known about this site, or whether a substantial building was present during the medieval period, but a number of medieval pottery sherds have been recovered. Also of interest is a medieval kiln or oven, situated inside an enclosure, that was excavated in 2003 (NHER 37626). These features were also associated with concentrations of pottery sherds and metal working debris, as well as further enclosures, ditches and pits. Two post medieval buildings of architectural interest have also been recorded. These are Old Farmhouse (NHER 32732), a 17th century red brick building with 19th century additions, and Old Hall (NHER 32733), also dating to the 17th century and constructed of red brick. The later is thought to retain a three-sided ‘parlour’ fireplace as well as spine beams in the larger rooms. From more recent history the tracks of two railway lines also pass through this parish. The sections of the Midland and Great Northern Joint Railway (NHER 13584) and the East Norfolk Railway, Aylsham Branch (NHER 13587) that pass through this parish are now closed. The Midland and Great Northern Line was in operation for passengers until 1964, and the East Norfolk Railway, Aylsham Branch Line closed in 1952.